For over 40 years, Cosworth has been the leader in innovative multi valve cylinder head design for both racing and high performance production cars. 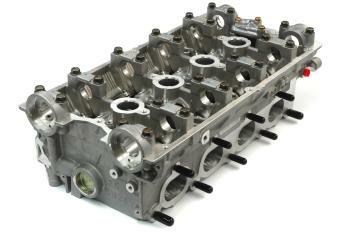 The Cosworth CNC Ported Big Valve Cylinder head range is the latest advancement. Modified from new OE cylinder head castings, substantial gas flow improvements and upgraded valve train components offer superior performance for your high performance engine. Each original cylinder head design is carefully evaluated and tested to establish the improvements required to meet the target performance level. Hours of testing and flow bench validation are used to determine the best advanced port design yielding maximum usable power and response. However, there is more to cylinder head design than just maximum flow. It is critical that port velocity is maintained to ensure drivability and valve train components are matched to guarantee reliable performance. Once all of these factors have been tested and validated, the final port contour is digitized. Using the digitized program, we then reshape both intake and exhaust ports using a 5 axis CNC mill producing an accurate and consistent port shape every time. 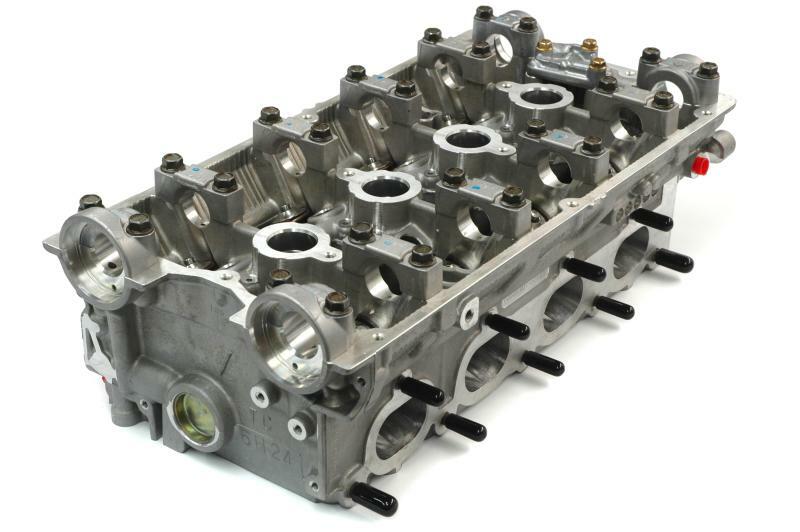 In addition to reshaping and enlarging the intake and exhaust ports, most Big Valve Cylinder heads feature a re-shaped combustion chamber to un-shroud the valves increasing air flow and performance. After machining, each cylinder head receives a multiangle high performance valve job on our precision CNC valve seat cutter. Then each cylinder head is ultrasonically, cleaned, serialized and then hand assembled with select high performance valve train components, ready to install on your engine.